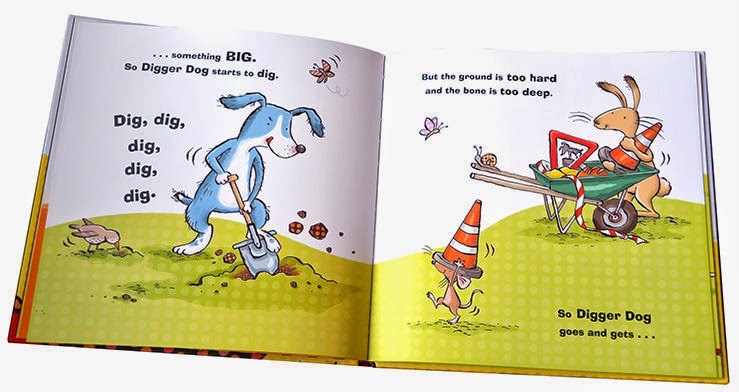 Digger Dog is the newest picture book from William Bee, marvelously illustrated by Cecilia Johansson and perfect for the littlest listeners. Digger Dog loves to dig, especially for bones. 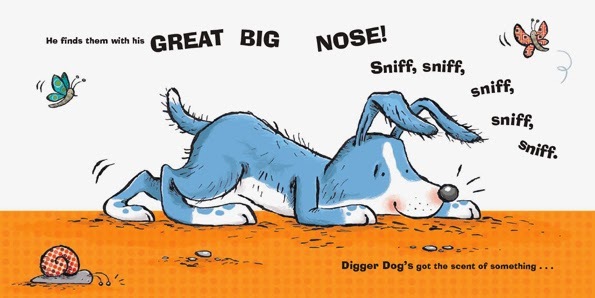 Digger Dog sniffs them out with his great big nose. Digger Dog is on the scent of something big. 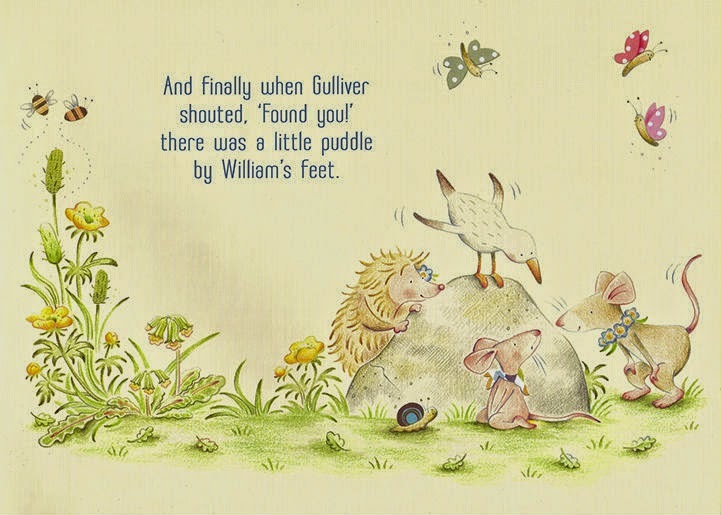 He starts to dig with his trusty shovel, but the ground is too hard and the bones is too deep. Digger Dog tries a little digger, but that bone is still too deep and the ground is still too hard! 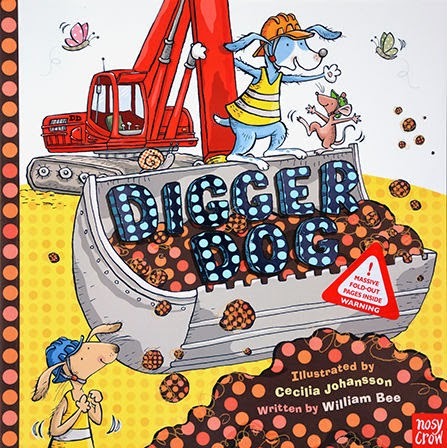 Digger Dog brings in bigger and bigger construction equipment to try to reach that special bone. 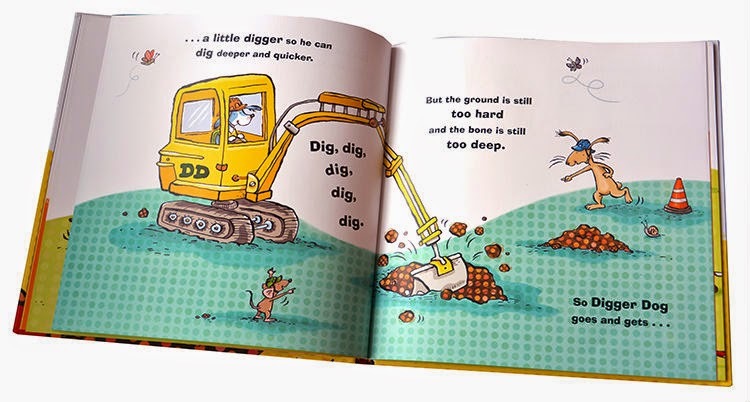 Little listeners will love the parade of machinery that Digger Dog drives through this book. 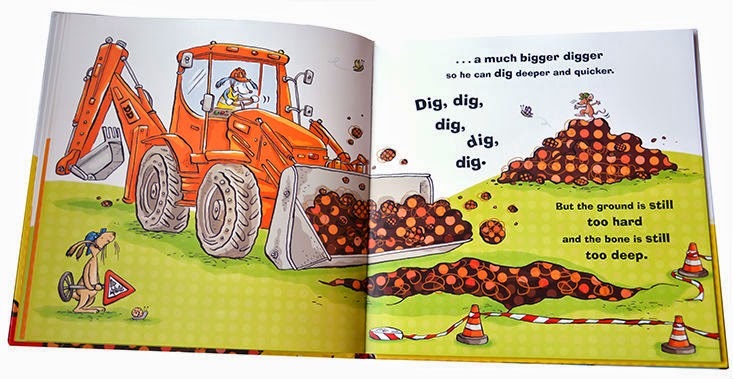 The biggest digger in the WHOLE WIDE WORLD is the first of two 4 page fold-out spreads in Digger Dog. 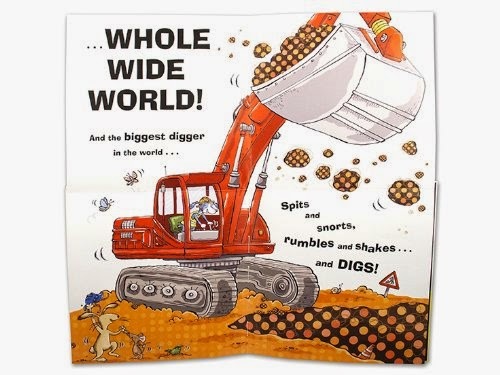 The second, even better massive fold-out in Digger Dog is the surprise of seeing just what kind of special bone Digger Dog couldn't stop digging for! 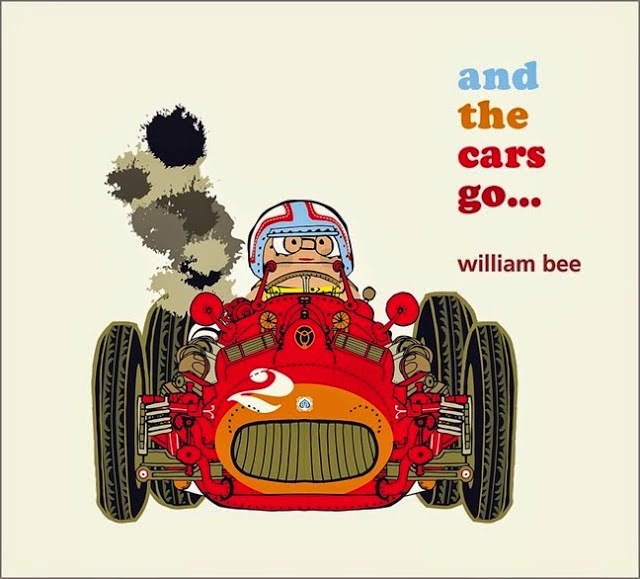 More books by William Bee and Cecilia Johansson! and the cars go . . . 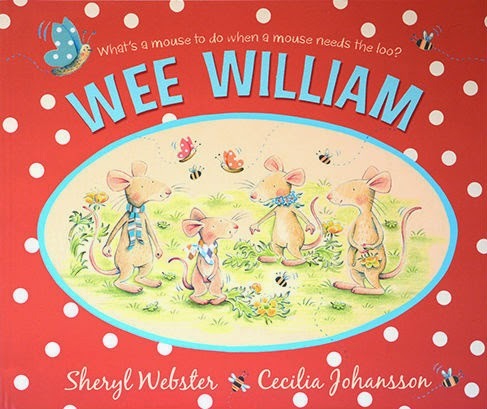 I can't wait to have grandchildren so I can read books like this to them.